As of 1. 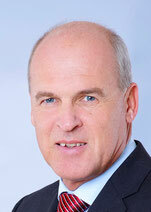 June, Stefan Pichler, former CEO of Air Berlin, will join Amman-based Royal Jordanian Airlines as Chief Executive Officer. The announcement which was made yesterday in Amman also stated that he succeeds Captain Suleiman Obeidat who took up the RJ CEO role in October 2015. Mr Pichler looks back on more than thirty years of aviation experience, having started his career in the sales department of Lufthansa and from there moving up to the position of Chief Commercial Officer with the German national carrier. He is being entrusted with moving Royal Jordanian forward by ensuring that new marketing techniques and advanced technical applications are introduced in order to increase revenues and make the carrier more competitive. YTO Express, in the meantime one of China’s most successful small parcels and freight carriers, lately announced that it intends to acquire an almost 625 stake in Hong Kong-based On Time Logistics (OTEL). Furthermore, YTO states that it will set up its international business headquarters also in Hong Kong. Shanghai-based YTO Express has made no secret of its plans to set up a global reach and this seems to be a start whereby they can use OTEL’s international experience and contacts. On Time Logistics is present in 17 countries and runs more than 50 offices abroad, all of which are steered through the HKG head office. The start up of the long awaited Cargolux China service has been put back even further. Initial plans were for first flights to operate in 2016 and then this was set back to 2017. Now it seems that the new CV service will be further delayed to at least late 2018. The reason given by CV’s President & CEO, Richard Forson is that the new joint venture continues to face regulatory issues and that the present anti-corruption movement by the Chinese government is making Chinese partners more cautious than before. It also seems that new rules brought into force by China on foreign investment, have slowed down the process. The Swiss carrier has introduced a twice-weekly Airbus A340-300 aircraft on the Zurich-San Jose, Costa Rica route. 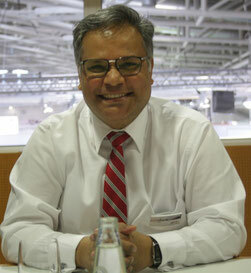 The service is operated by Swiss International Airlines daughter company, Edelweiss Air. Flights depart Zurich on Tuesdays and Fridays and return back to Zurich on Wednesdays and Saturdays. Swiss World Cargo offers its customers around 9 tons of cargo payload per flight on the sector to San Jose. Return cargo space is expected to be on offer as of June 2017. A new twice-weekly Zurich - San Diego, California flight will also start as of 9. June. The Alibaba affiliate Cainiao which was set up as their logistics handling arm in China is now reported to be handling just over 80% of all of the e-commerce giant’s shipments. This time last year the percentage handled was 60%. Cainiao utilises what they term as being an integrated multi-modal transport system whereby Chinese express couriers feed packages from all over the country into the central handling system. It was estimated that around 42 million shipments per day have been moved through Cainiao’s network during the first quarter of this year. The carriers OMEGA project, which uses so-called big data to reduce carbon emissions, has resulted in Lufthansa Cargo being awarded the DQS German Award for Excellence in the Environmental Responsibility category. This was announced in Dusseldorf on 17 May at the DQS Sustainability Conference. Lufthansa Cargo utilises the Ops Monitor and Efficiency Gap Analyser (OMEGA) as a tool to collect data during cargo flights in order to ensure that future flights are more efficient. Orlando-based National Airlines which has a fleet of four freighters has announced that they will commence a scheduled round-the-world charter service on behalf of Navitrans as of June 1, this year. Flights will commence in Chicago, then across the Atlantic to Liege in Belgium. From there the routing continues via Baku, Hong Kong, Tokyo and Anchorage, before returning to Chicago. 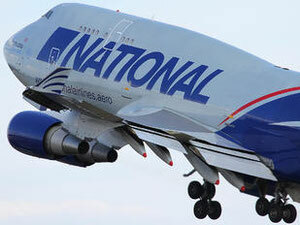 The service will be operated by one of National’s two B747-400 freighters. The carrier also operates two B757-200 freighters on shorter routes within the USA and South America. The once proud Singapore Airlines Cargo product is now being re-integrated into the Singapore Airlines mother company. The SIA headquarters state that this has been decided in order to try and streamline operations throughout the SIA group as a whole. The process is expected to be completed by mid-2018, whereby SIA managers state that there will be no negative effects for their cargo customers. When the process is completed, SIA Cargo will then be listed as the carriers Cargo Division inside the Group. SIA Cargo was born in 2001 and the company operated at one time around 17 B747-400 freighters on routes throughout the globe. The cargo fleet is now down to 7 freighters as cargo demand dropped and the passenger fleet expanded thereby offering more lower-hold space for cargo. The SIA Cargo Division showed an operating profit for 2016 of around US$2.2 million with an average load factor of only 63.2%. Tokyo-based Nippon Express and U.S. e-tailer Amazon are reportedly cooperating on a new logistics service for Japanese SMEs looking to export their products to the U.S., a Nikkei Asian Review report said. The new service will initially be available for small, non-perishable items, and may later be extended to include apparel, furniture and food. The report said that when the goods arrive in the U.S., they will be stored at facilities run by Nippon Express or Amazon and sellers will market them through Amazon. The new service is reportedly linked to plans from the Japanese Ministry of Economy, Trade and Industry to boost exports. Amazon has stopped using the B737-400F aircraft leased from ASL Airlines France and thereby has ceased operation of their European freighter service. The flights were operated to supply Amazon centres in the UK, Poland and Germany. Martinair Cargo which is now a full subsidiary of AF-KL, has concluded an ACMI lease agreement with Atlas Air for a B747-400F. The lease is only for the duration of the heavy maintenance period on Martinair’s sole remain aircraft, also a B747-400F. Air Hong Kong (AHK) and Saudia Cargo have each both returned a B747-400F to their owners. AHK has given theirs back to their majority owner, Cathay Pacific, which intends to retire the aircraft altogether. Saudia Cargo’s aircraft returns Air Atlanta Icelandic.